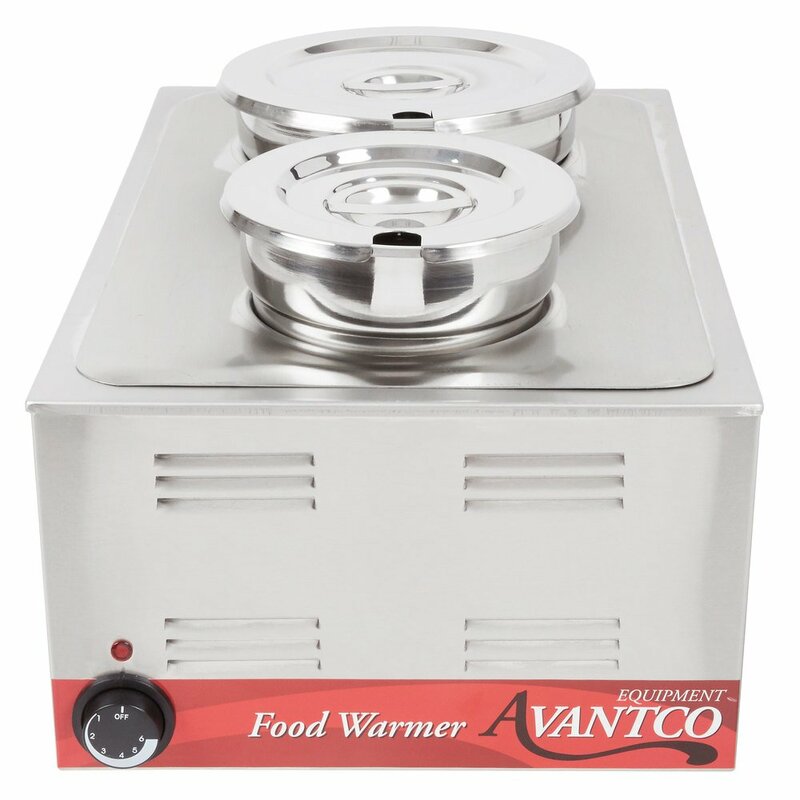 Whether you're serving chili, baked potato soup, or marinara and alfredo sauce for your pasta bar, this Avantco 12" x 20" electric countertop food warmer is the perfect, space-efficient addition to your buffet, concession stand, or homestyle restaurant! 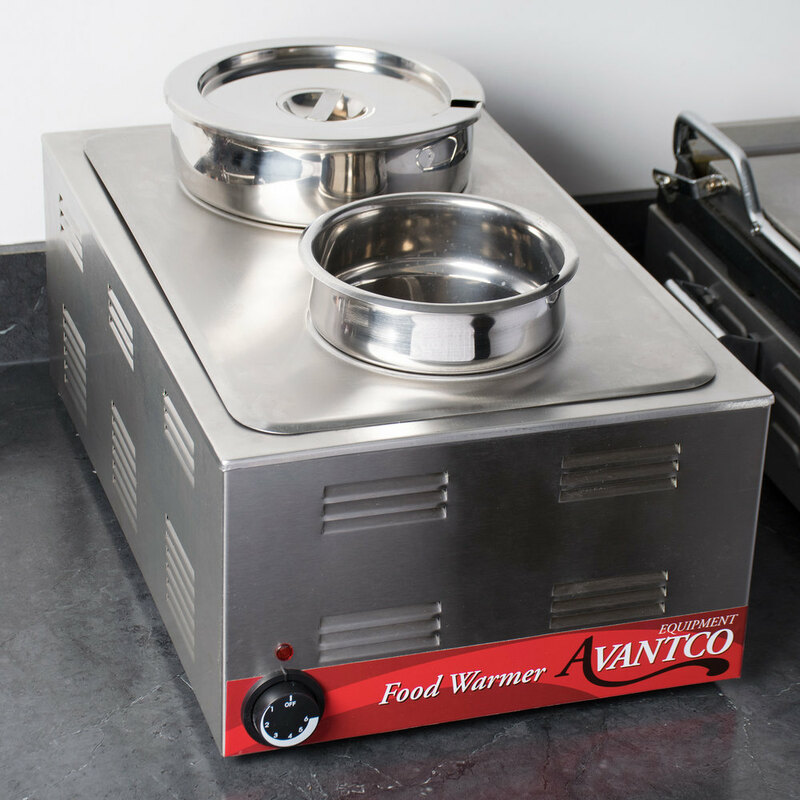 The 12" x 20" warmer accommodates up to (1) 7 qt. inset and (1) 4 qt. 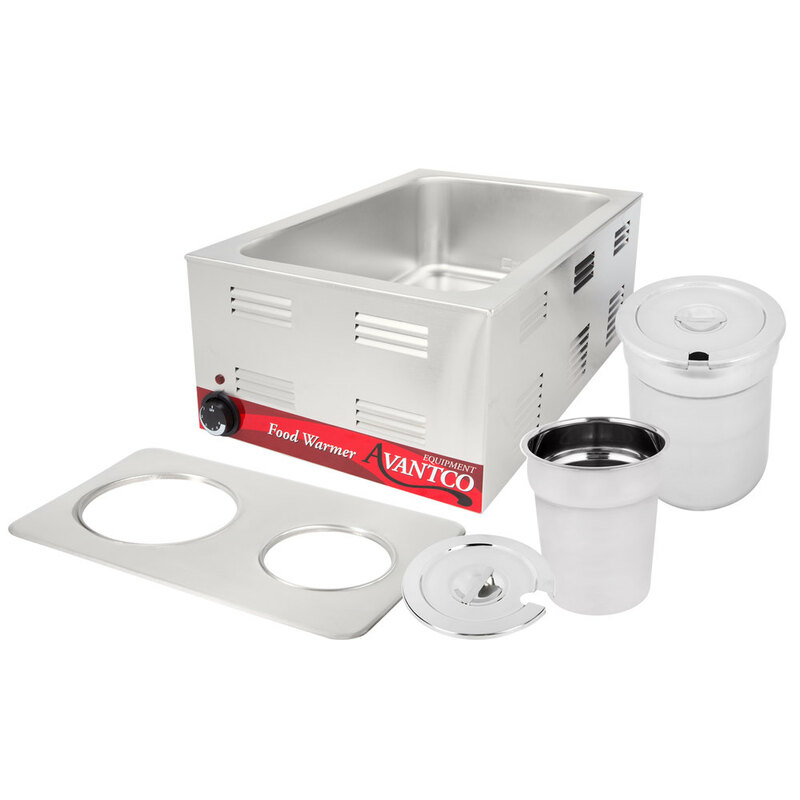 inset, or, if you remove the steam table adapter plate, you can set one full size food pan (or several smaller pans) inside and change your menu from soups and sauces to chicken strips, french fries, egg rolls, or side dishes. 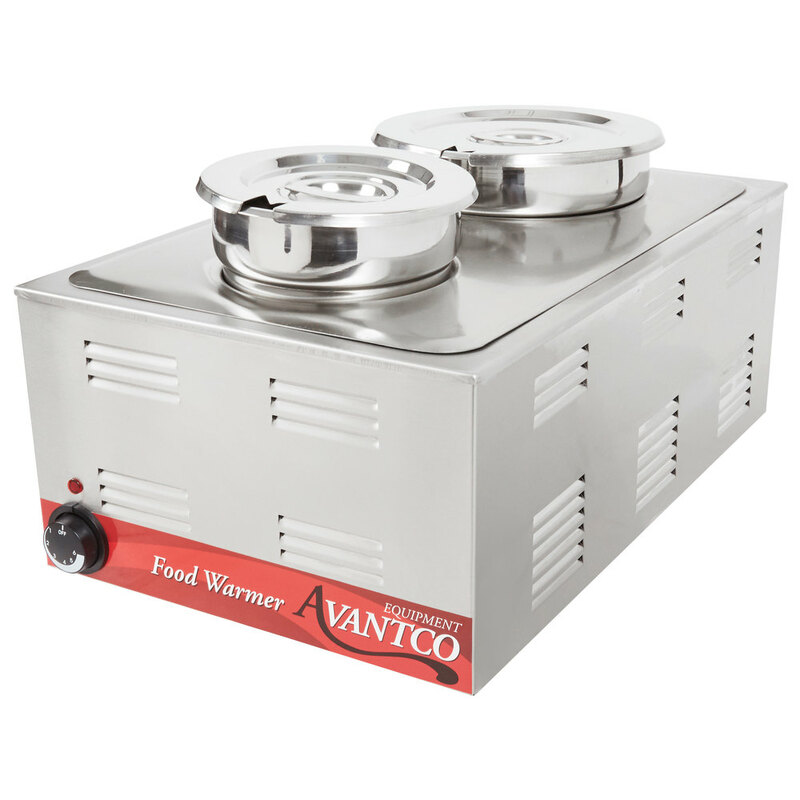 This food warmer includes an easy-to-operate dial control and boasts a 1200W heating element to keep foods fresh and warm. It also preheats in as little as 30 minutes so you can set it up in advance, prepare your foods, and the warmer will be ready when you're done. The water well is made from corrosion-resistant 20 gauge, 18/8 stainless steel, and features "min" and "max" water level markers for easy water maintenance. 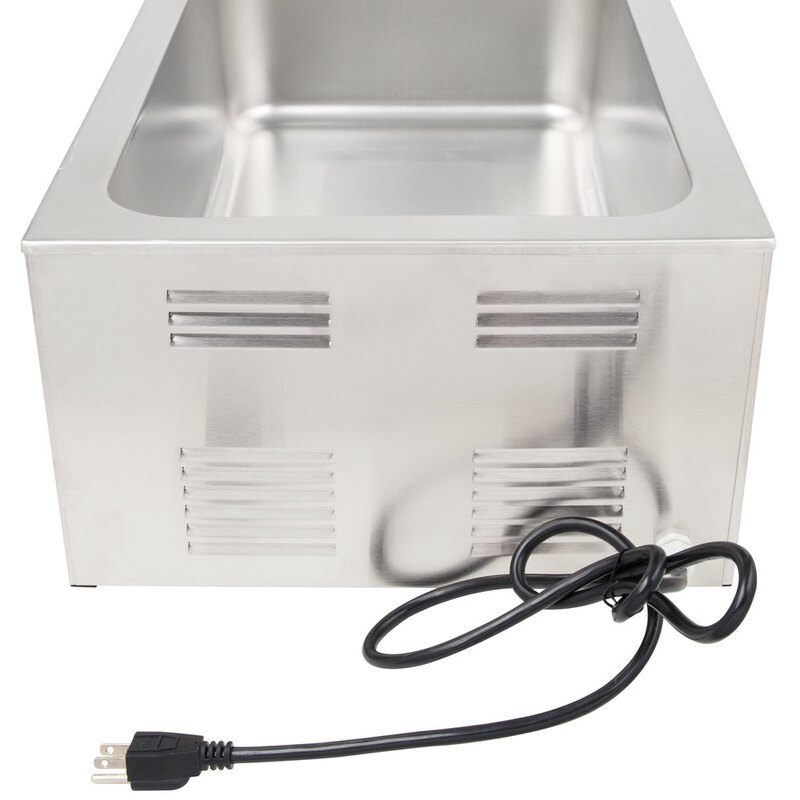 Its lightweight design and 4' cord make this unit easy to transport and install just about anywhere, which is great for applications like catered events and food trucks. A 120V electrical connection is required for operation. Please choose the state your equipment will be installed in so we can show you our closest vendors.